HTC announced earlier that they have plans for launching a Windows Phone 7 handset but they never mentioned or revealed any price, specs or estimated release date for the said device. 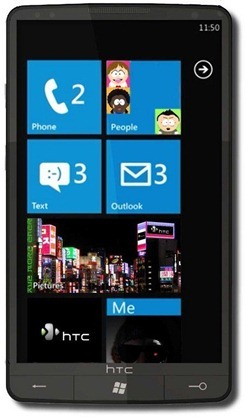 But now, a leaked inventory document of German cellular network O2 has revealed an upcoming Windows Phone 7 device by HTC, dubbed as the “HD7” which is likely going to be successor of the much popular Windows Mobile handset HTC HD2. 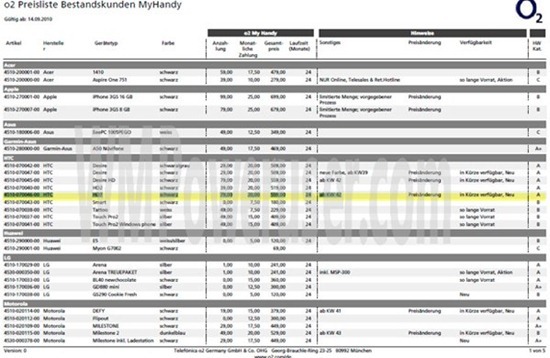 According to this documents, HTC HD7 will be available without contract for €559, and on two-year contract for just €79, with €20 monthly. October 18th has been picked as the approximate launch date for this mighty handset which is right after the official launch of WP7 by Microsoft, and almost one year after HTC HD2 was released in Europe.